Bookkeeping for retirement plans’ trading transactions and individuals’ accounts (the major activity in recordkeeping). Administrative functions including compliance testing against relevant pension and tax laws and filing of government reports such as Form 5500. The Standard of Practice was developed by a cross-industry Task Force chaired by the American Society of Pension Professionals & Actuaries (ASPPA). We acknowledge that Recordkeepers and Administrators are not fiduciaries themselves, however they provide services to fiduciaries and their plan participants. These Service Providers help fiduciaries meet their fiduciary obligations. The Practices form the basis for the certification program and are organized in a similar way to the Fiduciary Practices described by Fiduciary360 and CEFEX for Investment Managers, Investment Advisors and Investment Stewards. 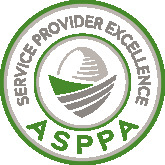 Please click here to download the ASPPA Standard of Practice. The ASPPA / CEFEX Certification Task Force welcomes comments and suggestions. Please contact Carlos Panksep at 416-693-9733. CEFEX-certified Recordkeepers and TPAs are eligible to receive discounts on professional liability insurance premiums of up to 25%. The certification acts as evidence that your firm is a lower risk for insurance carriers. ASPPA is a national organization of more than 7,000 retirement plan professionals who provide consulting and administrative services for qualified retirement plans covering millions of American workers. ASPPA members are retirement professionals of all disciplines including consultants, administrators, actuaries, accountants, and attorneys. The large and broad-based ASPPA membership gives it unusual insight into current practical problems with the Employee Retirement Income Security Act and qualified retirement plans with a particular focus on the issues faced by small- to medium-sized employers. ASPPA membership is diverse and united by a common dedication to the private retirement plan system.